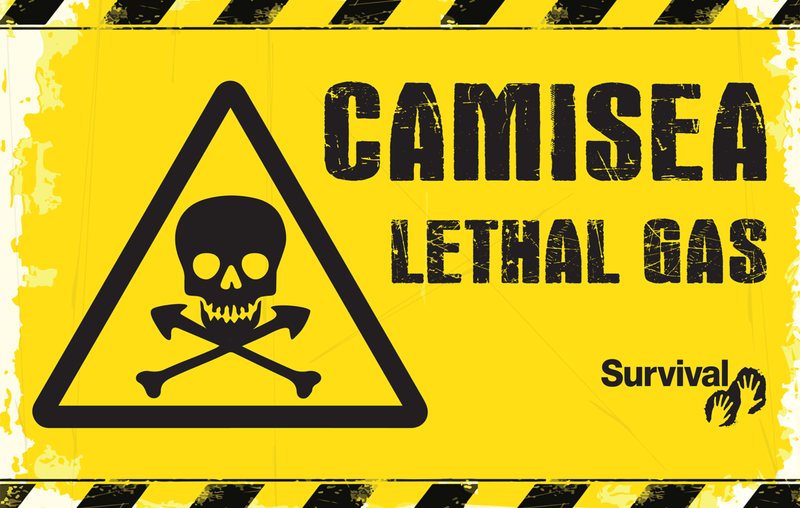 Protesters will carry placards symbolizing the lethal effects of the Camisea project on Perus uncontacted tribes. 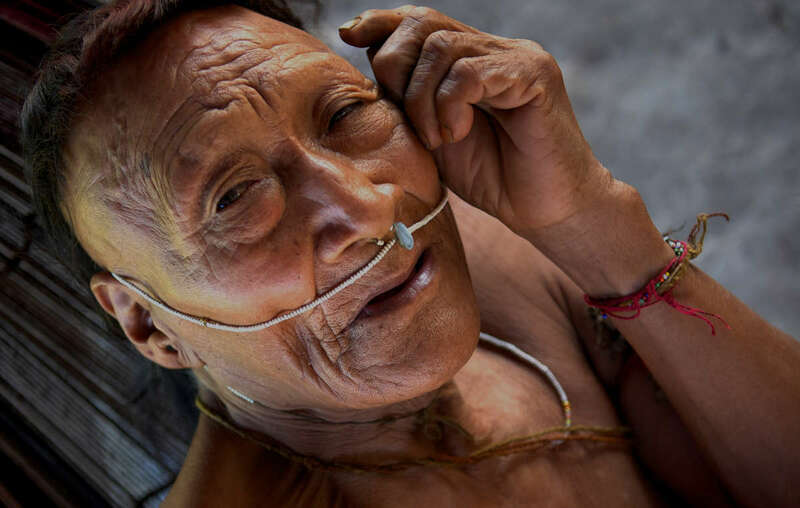 Survival International supporters will protest outside Peruvian embassies and consulates around the world on April 23rd to call for an end to the deadly expansion of the Camisea gas project in Peru’s Amazon rainforest, which puts the lives of uncontacted Indians at risk. Protesters will carry placards and gas masks symbolizing the lethal effects of the Camisea project on uncontacted tribes in the area, and will hand a petition to Peruvian embassies and consulates in London, San Francisco, Berlin, Madrid and Paris. 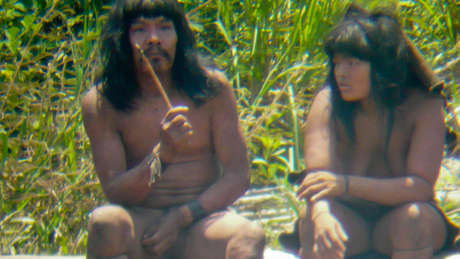 The urgent petition asks Peru’s President to stop outsiders and companies from invading uncontacted tribes’ land, and has been signed by over 120,000 people around the world. Uncontacted Indians are extremely vulnerable to diseases brought in by outsiders – initial exploration in the Camisea block in the 1980s led to the deaths of half the Nahua tribe. Half of the Nahua tribe was wiped out after their land was opened up for oil exploration in the 1980s. Camisea lies in the heart of the Nahua-Nanti Reserve for several uncontacted and isolated tribes, and is the buffer zone to the Manu National Park, considered by UNESCO to be ‘the most biodiverse place on earth’. It is Peru’s largest gas project, and is run by Argentina’s Pluspetrol, US’s Hunt Oil and Spain’s Repsol. Now Peru’s Ministry of Energy is set to approve a massive expansion of the project, despite a UN call for the ‘immediate suspension’ of the work, that is likely to prove devastating for the tribes. Apart from the risks of diseases from first contact, the gas work also threatens to destroy the forest and scare away the game on which the uncontacted Indians depend for survival. - The protests will be held on Tuesday, April 23, outside the Peruvian embassy in London (52 Sloane Street, London SW1 9SP) at 9.30am (GMT+1); and outside the Peruvian Consulate in San Francisco (870 Market Street, Suite 1067, San Francisco, California 94102) at 9am (PST). - Further protests will be held in Paris, Berlin and Madrid.